Hi gang! 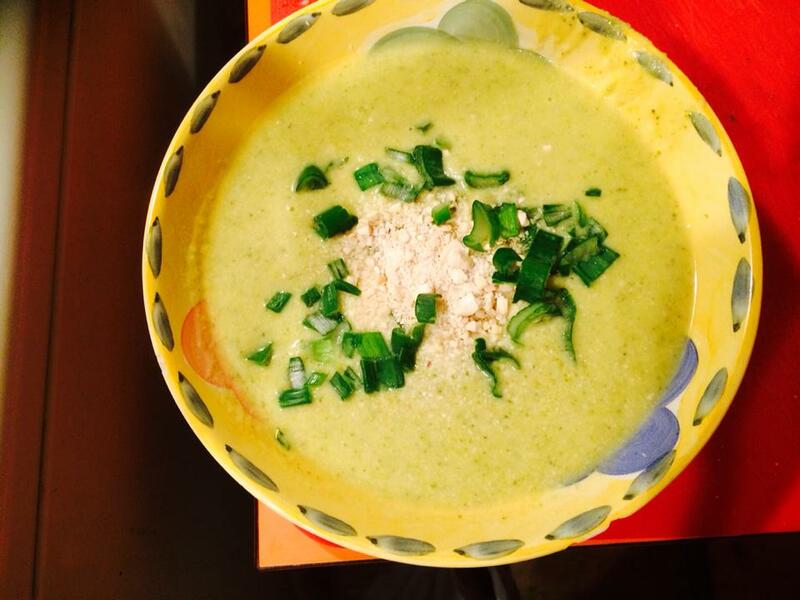 Hope this finds you all well 🙂 I have been meaning to come up with a tasty broccoli soup for a while now but as you understand, life gets so busy at times that creating new meals can often take a back seat! I cooked this up the other night and it turned out DELICIOUS! It may be Spring here in Melbourne but the warm weather is still not quite here, so why not enjoy the warmth and comfort of hot soups just a little while longer. STEP 1 – Gather your ingredients. I used 3 medium heads of broccoli, 2 cups of raw cashews, 3L of stock, 5 cloves of garlic, 2 spring onions, 2 small carrots and 4 celery stalks. 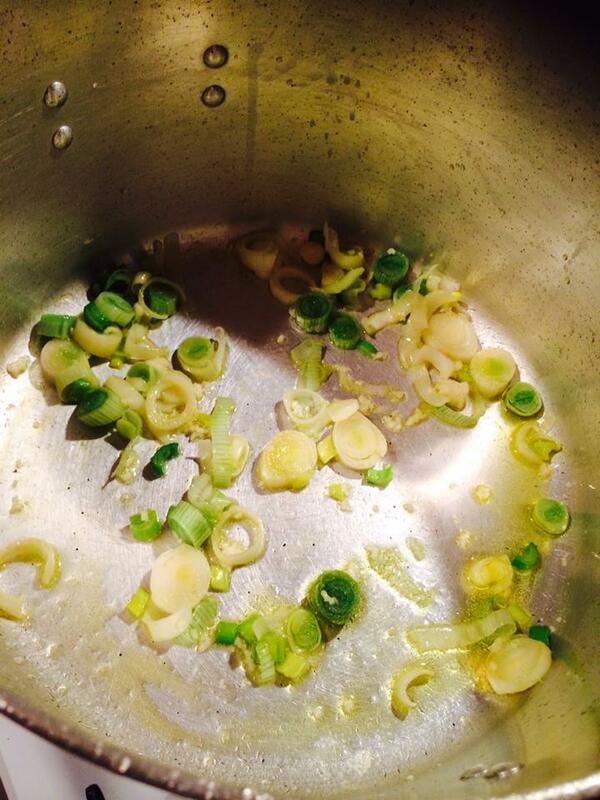 Sauté the 2 spring onions (white part only) and the garlic until fragrant. 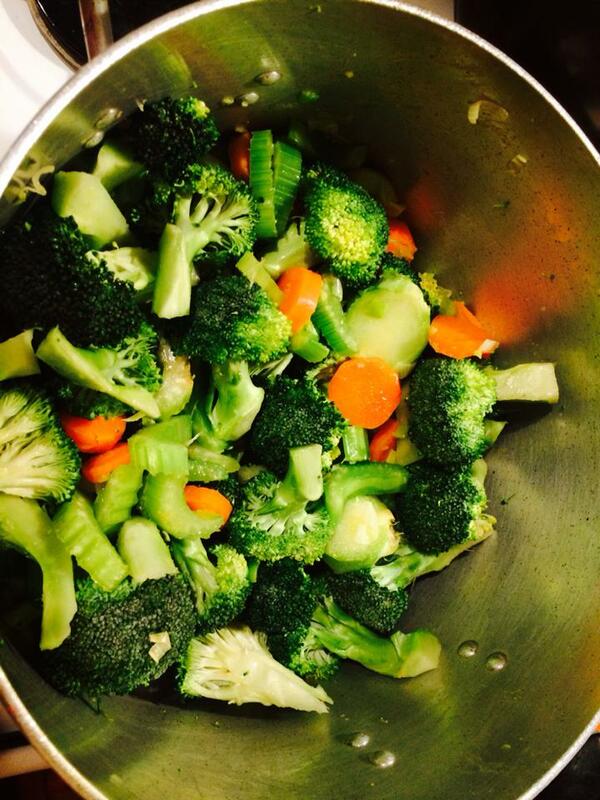 STEP 2 – Chop up your broccoli (stems included), carrots and celery and place into the pot on cook on low heat for about 10 minutes. Make sure to stir. 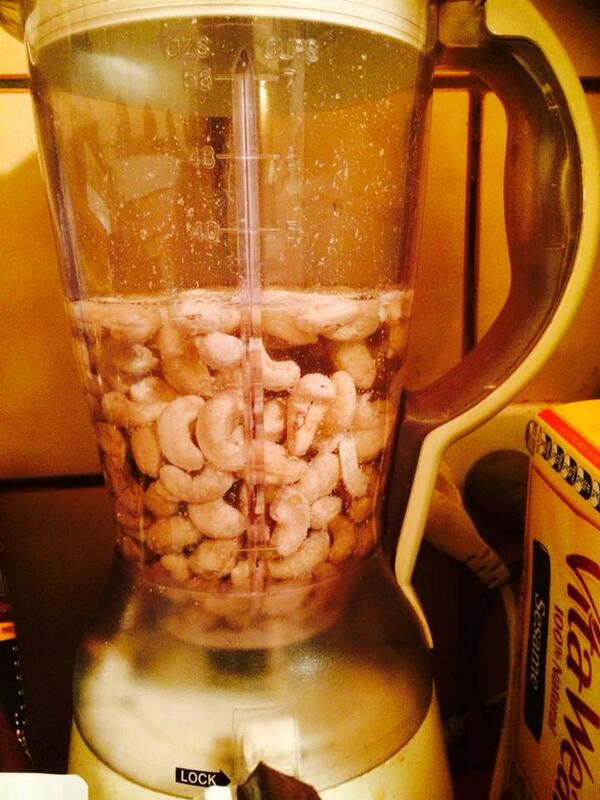 STEP 3 – With 2 cups of water, blend your cashews in the blender until creamy. 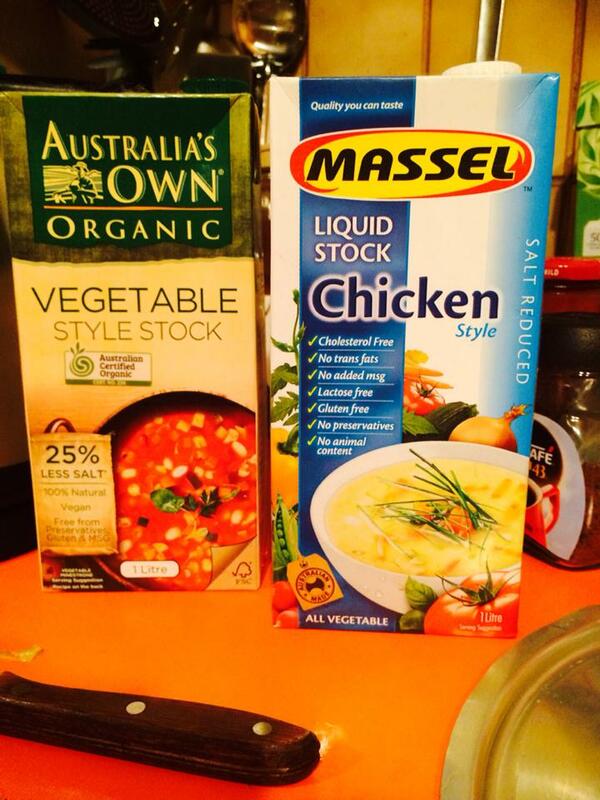 Add this with 3L of stock to your pot of vegetables. 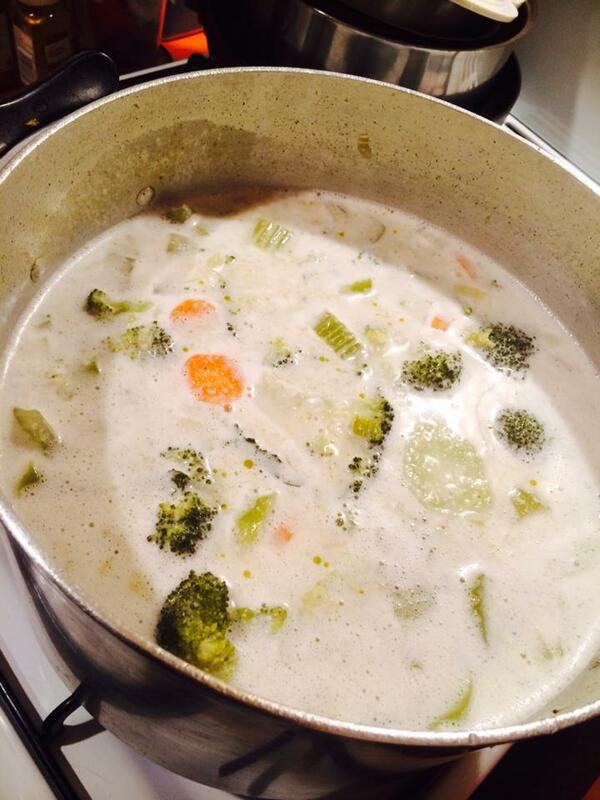 STEP 4 – Bring pot to boil and then simmer for 30 minutes. 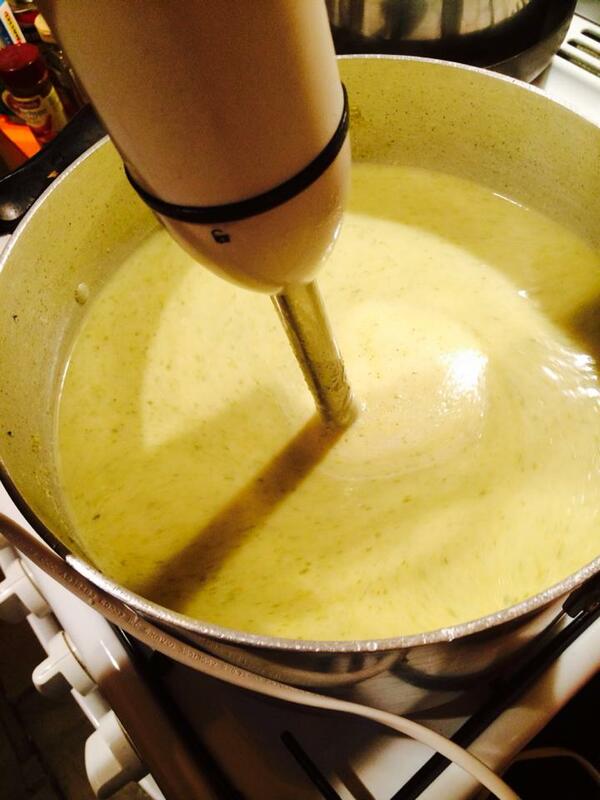 STEP 5 – With a stick blender, blend until smooth (and dreamy creamy). 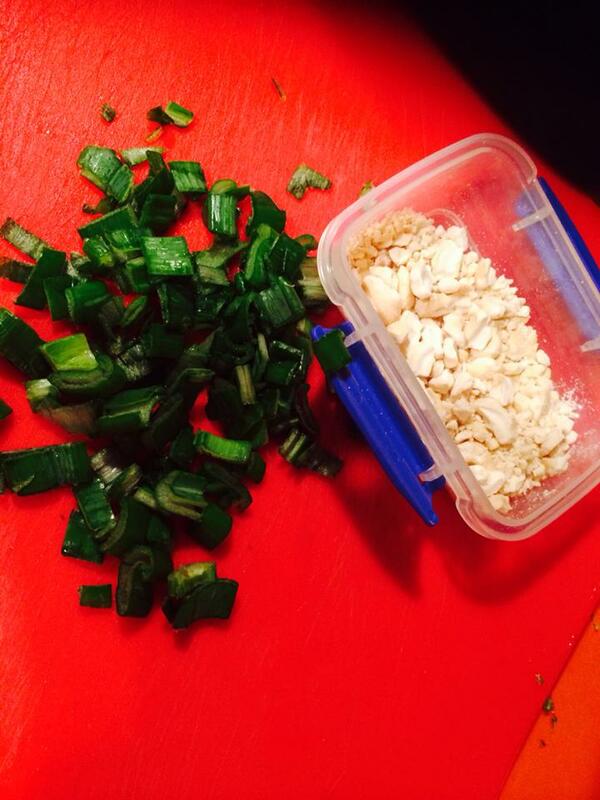 STEP 6 – Garnish your soup with some spring onion (green, leafy part), crushed cashews and salt and pepper to taste. This entry was posted in Uncategorized and tagged broccoli, cashew, cashew nuts, cashews, cloves of garlic, comfort food, cooking, creamy, health, healthy, healthy food, nutrition, nuts, soup, vegan, vegan cooking, vegan food, vegan soup, veganism. Bookmark the permalink.